That Bob Gannon grew up in Mingo, Iowa, as one of 14 children is one of the least interesting things about him. That he has a seat on the Chicago Board of Trade and is a “Name” with Lloyd’s of London are also far down the list. 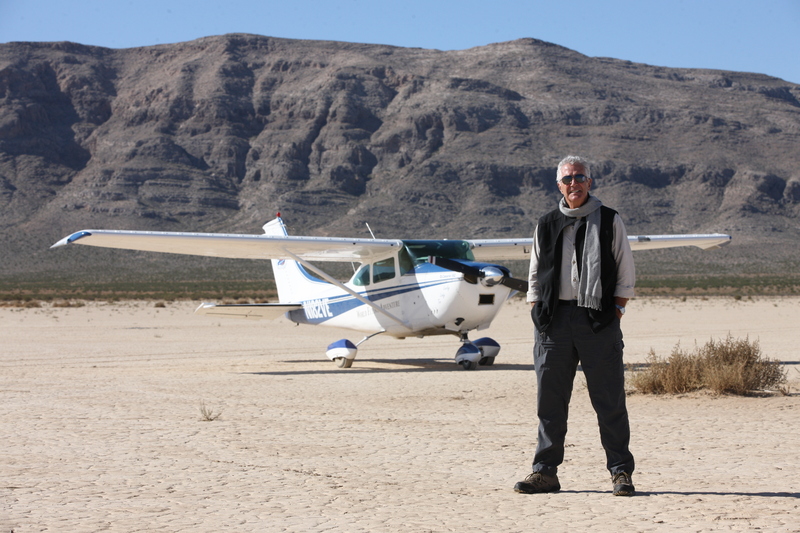 That Bob Gannon (’74 ag business) has survived death-defying feats such as flying solo around the world in a single-engine Cessna 182 and landing in more than 1,200 places and visiting every continent on the planet – well, that’s pretty interesting. He caught the adventure bug back in 1992. He had been a medic on a medevac helicopter in the Vietnam War, and he always enjoyed flying. So he got a pilot’s license, bought a small airplane named Lucky Lady, and flew to Paris. Four months later, he crashed on takeoff in Nairobi, Kenya. He had made it halfway around the world. For the next eight years, he talked about finishing his around-the-world adventure. He bought “Lucky Lady Too” and set a world aviation record. He traveled for the next 10 years – for about a month at a time – to 35 African countries, nearly all of the Middle East, and to all North American, South American, and Central American countries – plus the North Pole and Antarctica. In all, he made 43 “legs,” traveling around the world 2 ½ times. Bob’s adventures have included motorcycle trips in New Zealand and Vietnam, scuba diving, attending a bachelor’s ball in Australia, and climbing to Mount Everest base camp. Today, at age 60, Bob’s home is in Henderson, Nev., but he continues to travel. “Follow your curiosity,” he says. It’s because of his insatiable curiosity that he traveled around the world.